Britain's legal education system does not bar non-law students from the legal profession directly, nor does it allow them to apply for vocational training courses directly, as law students do. In order to ensure that all students applying for the "law practice course" or the "law profession course" have the same legal theory background, the legal education system in the UK has set up the course of law transfer. Transfer law course and law degrees, the content of the course include the all China lawyers association and the bar association jointly issued the joint statement of qualified law degree of 6 compulsory courses, namely, public law, European Union law, criminal law, liability law, property law and equitable trust law, only shortens the time of learning and to enhance the strength and the study difficulty, and through strict examination select students meet the requirements. After entering the vocational training stage, there is no difference between the training of non-law students and that of law students. After that, students can sign internship contracts, apply for apprenticeships and obtain employment, and enjoy equal status and opportunities with law students. According to the data, many law firms also tend to recruit graduates from law departments when recruiting interns, especially those with linguistic and business backgrounds. The rationality of this course lies in that it not only absorbs excellent talents who are interested in the legal profession in other majors, but also ensures the homogeneity of the legal profession. In the system design of English legal education, legal theory education and legal professional training are two indispensable links. They undertake different teaching tasks and have clear division of labor. Any student who is interested in a career in law must complete these two stages in turn. According to the joint statement on qualified law degrees issued by the bar association and the bar association, the goal of the legal theory education stage is to enable students to master the basic theoretical knowledge of the legal field and the basic methods of legal research, so as to lay a good theoretical foundation for entering the vocational training stage in the future. According to the joint declaration on qualified law degrees, the theoretical education stage must include the above-mentioned six compulsory courses of law theory. The legal vocational training stage is composed of vocational training courses and internship. The objective of the vocational training course is to equip students with the skills required for legal practice through systematic training, the most important of which is how to efficiently meet the needs of customers. The goal of the internship stage is to enable students to enter the real work environment, apply the skills they have learned to practice, and finally achieve the level of independent competence for various practical work. A very crucial part of the legal education system is the examination and selection system, that is, how to evaluate and select qualified talents for the admission to the legal profession. It is important to note that the British law education system and there is no concept of judicial examination, it was soon replaced by a kind of layer upon layer TaoTaiShi selection process, namely in the three main stages of legal education: bachelor degree/roll law course, LPC/BVC courses, internship contract/application apprentice, the beginning and the end of each stage there is fierce competition, however, in turn, to complete the three stages is the only way to enter the legal profession. As the lawyer website the lawyer commented: "to choose a legal profession is to choose a tough road, because every step of the way is full of difficulties." The examination of students' practical ability is carried out in the final stage of legal education -- internship or apprenticeship, which is also the reason for the fiercest competition in this stage. The bar association specifically emphasizes in "tips for LPC course applicants" that "successful completion of LPC course does not mean successful signing of internship contract; The number of internship contracts signed each year is much lower than the number of applicants. Moreover, apprenticeships are harder to obtain than internship contracts, and the number of successful applicants is often less than half the number who passed the exams that year. This shows that the signing of internship contracts and the application of apprenticeship are of decisive significance for whether students can enter the legal profession, and this process values the practical ability of students. A remarkable feature of the British legal education system is that lawyers' trade organizations directly involve in every link of legal talent training. This kind of all-around interventional management is manifested in two aspects: one is the management of students by industry organizations; the other is the management of course providers by industry organizations at all stages. In terms of management of the students, the all China lawyers association require all the students must apply for LPC before apply to students joined the all China lawyers association, the purpose is to give the student registration, thus for students at various stages of the performance record and regulation, including the achievement of LPC courses, internship contract signed, the completion of internship. The bar association requires all students applying for BVC to join one of the four bar schools and attend its regular meetings before applying for BVC. Upon completion of the BVC course, students will join the bar association under the name of the bar association for the same purpose as the bar association. In terms of the management of course providers, lawyers' industry organizations are more involved in the following two aspects: in the stage of theoretical education, only graduates with qualified law degrees are eligible to directly apply for LPC or BVC courses, while graduates with other law degrees are not eligible. A "qualified" law degree. It means that the courses provided by the course providers comply with the requirements of course setting and assessment standards in the joint statement on qualified law degree issued by the bar association and the bar association. In particular, the courses must include the six compulsory courses mentioned above, and in addition, the courses should be supervised and managed by the bar association and the bar association. That is to say, although the providers of law degree courses are universities and law schools, the core curriculum and assessment standards are set by the bar association and the bar association. In the vocational training stage, due to the separation of training approaches for solicitors and barristers, the bar association and the bar association began to supervise and manage LPC and BV courses respectively. LPC course provider is not only to strictly abide by the curriculum standard made by the all China lawyers association, also need to accept the all China lawyers association executive producer at any time the course provider of 3 vc must be approved by the bar association of to provide effective curriculum, curriculum goal, content, quality, therefore must meet the requirements of the bar association, and ready to accept the supervision of the guild. Through the above analysis, it can be concluded that the supervision and management of legal education by British lawyers' trade organizations is all-round. In each link, the content, quality, assessment standard and reform direction of education and training received by students are under the supervision and control of industrial organizations; Students' own situation, especially their performance in vocational training courses and completion of internships, are also recorded in the industry organizations. Through the analysis of the legal education system in Britain, the author believes that the following four system designs are the main reasons to ensure the close connection between the legal education and the legal profession in Britain. Thirdly, the "judicial examination" emphasizes the examination of practical ability. Fourth, the industry organization to the legal education omni-directional intervention type supervision and the management. 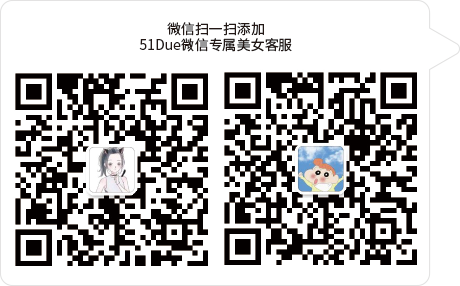 However, the status quo of China's law education is to screen candidates' judicial work ability through the national unified judicial examination. There is no restriction on whether candidates have the professional knowledge background of law, and there is no legal professional training for those who pass the judicial examination. Only one year's internship is required to issue a lawyer's practice certificate. After the comparative study, the author thinks that unifying the final admittance standard of legal profession is only the first step to solve the disconnection between legal education and legal profession in China. There are a series of other systems that need to be improved to truly realize the connection between the two systems. To this end, the author proposes the following four reform measures: one is to increase the restrictions on the judicial examination for graduates of illegal majors, requiring them to complete the core courses of law undergraduate and pass the examination before the examination. Second, carry out vocational training courses and improve the current internship system after the judicial examination. 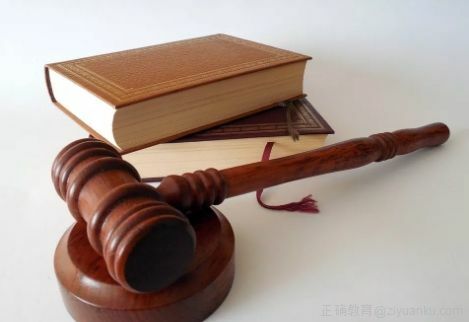 Third, after the development and improvement of vocational training, the corresponding increase of students' legal practice ability assessment system, one of the feasible methods is to hold the second judicial examination. Fourth, we should strengthen the autonomy of the bar associations and expand their functions in law education.